Summary: On the afternoon of March 25th, Russian merchants to the China Transport Group E-Commerce Industrial Park inspect various series of mining equipment for long-term cooperation. China Transport Group E-Commerce Company Manager Hou Jiawei, Electric Company Manager Cui Bingtao warmly received a visitor to the visitor. 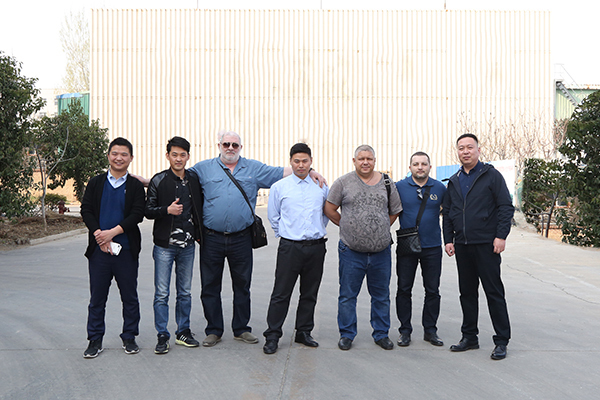 On the afternoon of March 25th, Russian merchants to the China Transport Group E-Commerce Industrial Park inspect various series of mining equipment for long-term cooperation. China Transport Group E-Commerce Company Manager Hou Jiawei, Electric Company Manager Cui Bingtao warmly received a visitor to the visitor. The Russian merchants mainly investigated the procurement of mining equipment such as hydraulic props and mining cars. 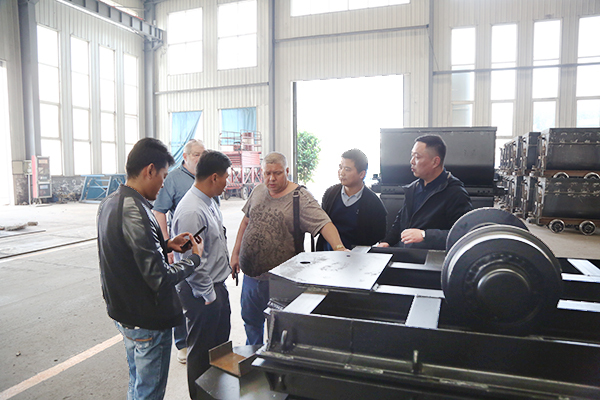 The merchants visit the China Transport Group intelligent equipment manufacturing workshop and intelligent product exhibition hall. 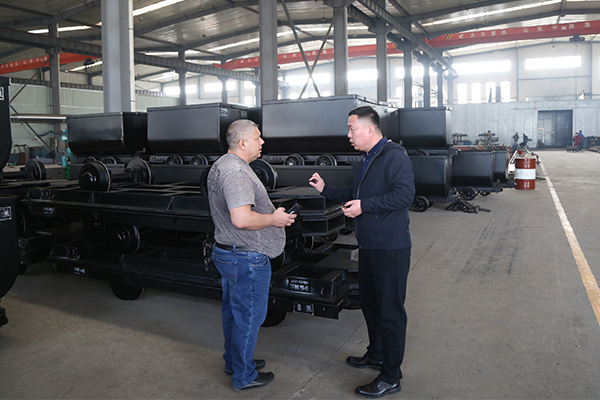 At the first scene of production, the merchants carefully observed the production process of the equipment, checked the hydraulic props, the samples of the mining trucks, and the specific technical parameters of the staff. A detailed introduction was made to the visitors. The single hydraulic prop is the supporting equipment for the high-grade mechanized mining face and the end support equipment for the fully mechanized mining face. The single hydraulic props produced by our group have large working resistance, light weight, long service life and large working stroke. The advantages of low cost of use, convenient operation, wide range of use and good stability. At present, the 27 series of hydraulic prop products produced by our group have obtained the national mining product safety mark certificate. The products are very good in quality and safety. Guaranteed, established a good reputation in the industry! The mine car equipment produced by our group mainly includes fixed mine cars, tipping mine cars, bottom unloading mine cars, side dumping mine cars, etc. There are many types, and the products have passed the national mining products Safety certification, reliable quality, superior performance, complete technical parameters, perfect after-sales service, product sales are very good! 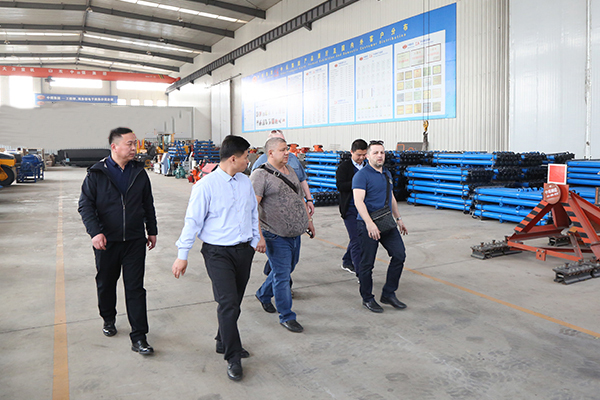 Through field visits, Russian merchants are very satisfied with the hydraulic props and mining equipment produced by our group, and fully affirmed the strong manufacturing strength of our group, and said that China Coal Group has a high reputation in the Russian sales market. Good, very trustworthy and cooperative. Subsequently, the two sides exchanged views on equipment procurement and other issues, and successfully reached a cooperation. As a large-scale enterprise with cross-industry and diversified operations, China Transport Group adheres to a global and global development strategy, joins the UN global market, and officially becomes a member of the UN Global Compact. Currently, China Transport Group produces and sells more than 10,000. The products are sold well in 151 countries and regions around the world, with 480,000 customers worldwide, and the Chinese coal brand has been launched in the world! In the next step, our group will keep up with the international economic situation and China's “One Belt, One Road” development strategy, enhance the international competitiveness of China Transport's own brands, deepen the international market, build international brands, and strive to create a new situation for the Group's global development!